This afternoon I shipped off to R.W. Shire the short video clip below. I had made the clip on Wednesday near noon just east of Tisdale and recalled that Mr. Shire had more than his share of adventures working one of these massive machines. As a CN roadmaster he often road shotgun, sometimes with his foot on the wing blade peddle as he and an operator would head out on a desolate prairie line to clear it of snow. Mr. Shire has been retired from the CN now for twenty years and the Jordan spreaders of his time were air powered while the 9500 model seen in these images was made in Chicago in the mid 90s and is hydraulic powered. On the open prairie the spreader is the preferred snow removal equipment because it can clear away the edges that can result in drifts building up over the road bed. 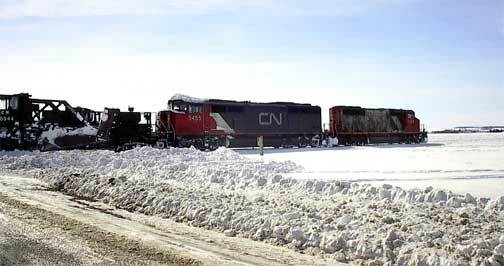 The CN train spent more than an hour stopped at the crossing close to the Pool Harvest Valley inland terminal yesterday as they removed the build up of ice on the crossing. Solid ice is not good for trains as the power unit wheels will climb up onto the ice and derailment can result. 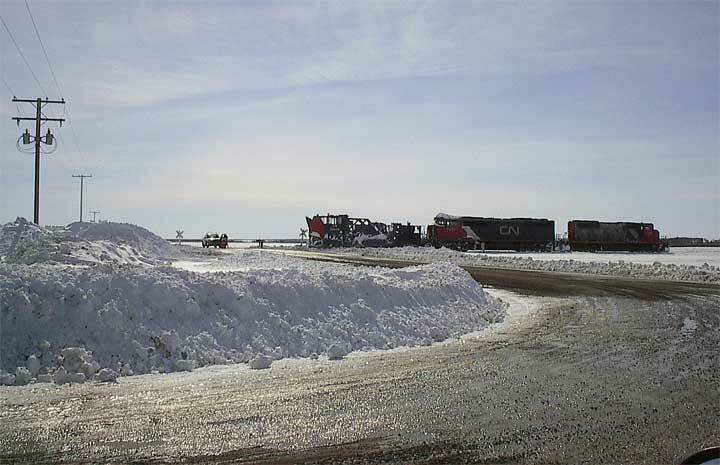 In the spring of 1979 near Gravelbourg we saw a plow and power units crawl up on ice in a cut wondering off the track. 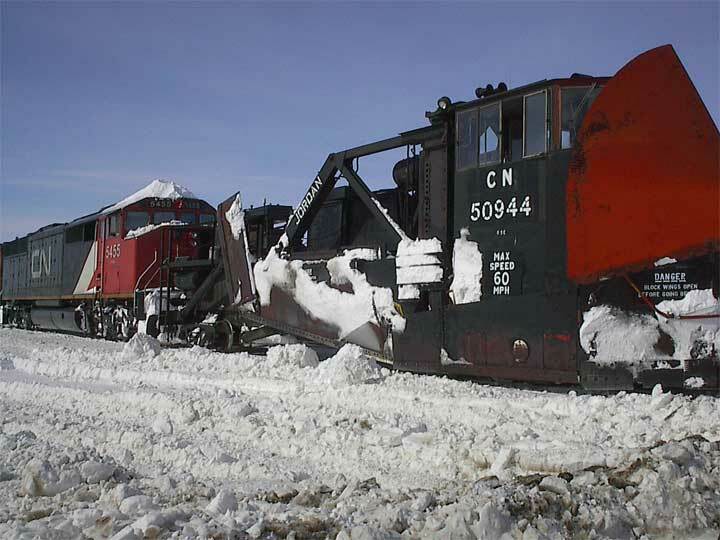 However, the engineer was able to stop the units before tipping and after some serious digging they were able to back the units and plow off the ice and back onto the track.